I’ve been experimenting with some food delivery options to the island recently, and so far my favorite is The Bounty Box. This is a collaborative effort with local and regional farmers, and you sign up to join. (You are not committed to weekly deliveries if that doesn’t work for you~ no worries.) In fact, if you sign up in January (like today) you get free enrollment for the year. Otherwise, it will cost you $23.00. It works like this: On Fridays, I get an email reminding me to pick my box for the next week. I can choose between a small box, my usual (farmer’s choice) or I can assemble my own box. Sometimes I want all the control, so I assemble my own box, and sometimes I like the random challenge of creating meals out of what is fresh and plentiful. You do have to think ahead a little: any changes have to be finalized by Sunday night or you’ll get your default package. The following Friday, my box arrives at the ferry dock, usually around the time one of us is coming back to the island. The ferry staff has been very helpful about delivering it and letting me know which ferry to meet on the Dewees side. 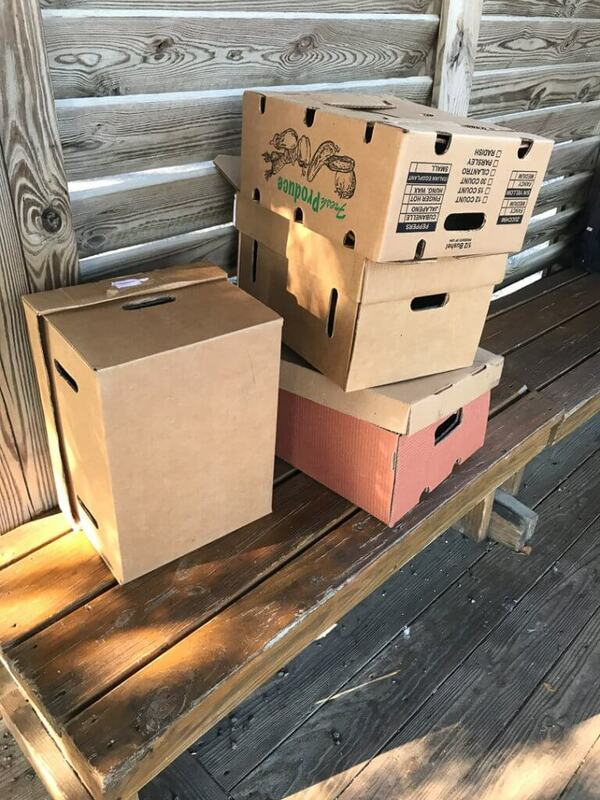 On Friday mornings I put the boxes back at the IOP side of the ferry dock for re-use. If you are not a full time resident, no worries: you would just pause the weeks when you aren’t going to be here. Check out the website for more information: www.thebountybox.com. I first heard about The Bounty Box through a friend. The Bounty Box only does “guerrilla marketing” through word of mouth, door hanging and now some paid advertising with social media. I signed up for The Bounty Box as a member but saw they needed NC’s to deliver in my area. I work 1:1 with an adult with special needs full time acting as his life skills tutor/therapist. Together, we volunteer at various organizations as his “job” and his involvement in society. I knew us delivering for The Bounty Box would be the perfect fit into our schedule as we are used to delivering for The Meals on Wheels Program. We have been delivering for The Bounty Box for 3 years and love it! We love the fresh produce and it lasts so much longer and fresher verse a grocery store. We try to use as little plastic as possible. Our produce comes in different cardboard boxes to keep the product from damaging each other. The theory behind the boxes it to return them on your next delivery date. This helps us to reuse and recycle them back to the box manufacturer. We do have to use some produce for packaging such as hydroponic lettuce, meats (to prevent contamination) and cheese. Most of these plastics get sent back in our returned boxes and we can turn around and re-use them to prevent waste. The fruit that bruises easily and you would normally put in a plastic box at the grocery store, comes in biodegradable fruit containers (you would get them at a farm stand). Our costumers always return these in their boxes to be used again and again. 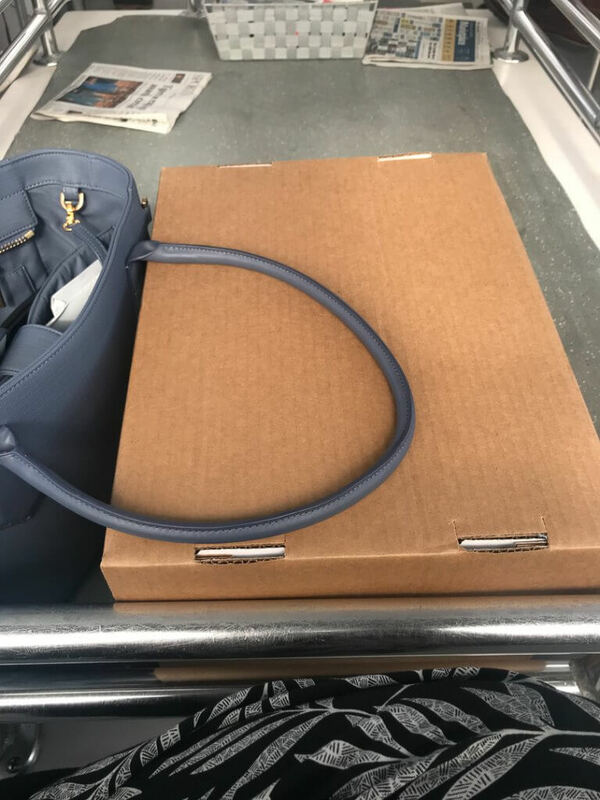 We also now have a community box option where instead of the costumer skipping their box for the week, they order a community box and it gets delivered to the Low Country Food Bank. This produce then goes through The Low Country Food Bank and gets sent to smaller non profit Distribution Centers for people in need. One of them is ECCO which is where my student and I volunteer at. 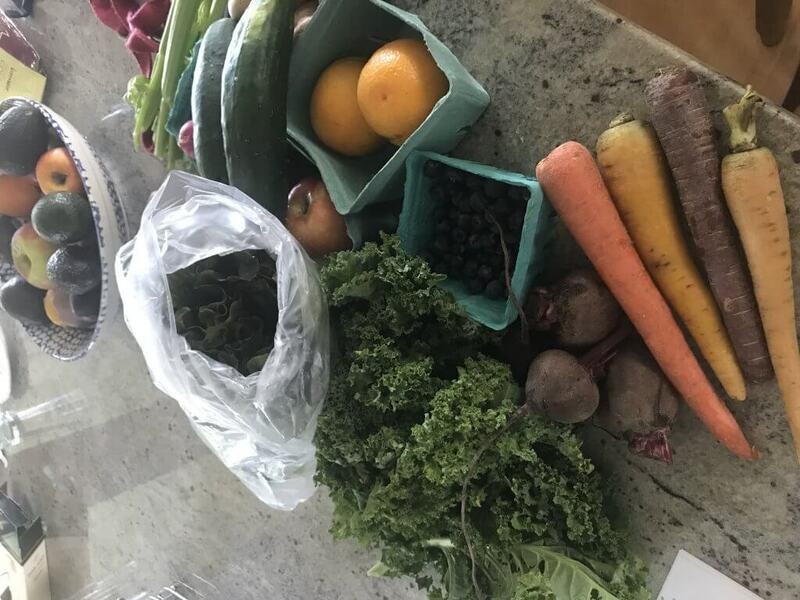 The Bounty Box is a great, small local CSA delivery company that has been around for 6 years. Edward, the founder, wanted to go further with a CSA instead of having it be a pick up location and an overabundance of the same produce. Hence why we began delivering boxes that come with a different menu each other or one you can customize. It’s the perfect job for stay at home moms or people with flexible jobs and people that want free produce. Our costumers that are loyal to TBB agree with our mission and know about the importance of supporting local farmers and artisans.